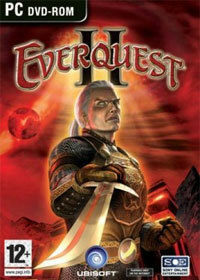 EverQuest® II Monument and Might Game Update Reveals Kurn’s Tower and its Secrets to Norrath! EverQuest® II’s game update, Monument and Might reveals the true appearance of Kurn’s Tower to Norrath; panicking the in habitants of Kunark and intriguing adventurers to its doors. A new void anchor emanates from the tower, as if a ghastly chord has tied its fate with the invading void. A warlord from a far-off land has turned his conquering eye upon the lands of Kunark and will stop at nothing to find a great power that may lie just within the tower’s walls! - Let someone else do the work for you! Monument and Might introduces Research Assistants which allow players to train their spells up to higher grades one at a time! They are available around Qeynos and Freeport, Neriak, Haven, Gorowyn, and Kelethin. Check out the research guild hall amenity that allows you to access the research system in the comfort of your own house or guild hall! - More than 80 new quests in the Rise of Kunark overland zones! - Player-written books - Leave your permanent mark in Norrath by writing and distributing books!Books look and act just like the current books in the game, and you can hold them in your inventory or place them in your house or guild hall for other players to read. Read Rothgar’s blog about user-written books here! - All-new Charasis West Wing group quests! For assets, log on to www.soepress.com. All other trademarks and trade names are properties of their respective owners. All rights reserved. This Monday, May 25, 2009, SOE will be closed in observance of Memorial Day. Memorial Day is a national U.S. holiday, designated as a day to remember those who have died in military service for our country. Some also take time to honor all of their friends and loved ones who have passed on. The National Moment of Remembrance takes place at 3 PM local time on Memorial Day. The day has also unofficially become recognized as the beginning of summer, which is often celebrated with picnics, cook outs, and summer sports and acitivities. We hope everyone has a safe and pleasant Memorial Day holiday! Of course you'll need ID for traveling, but it's a good idea to keep it on you at all times at Fan Faire, tucked safely away. You'll need it for checking in to your hotel, procuring adult beverages and gambling if you so choose, as well as for picking up your Fan Faire registration packet. Some of our larger events also require ID and your conference badge for entry, especially our 21+ events. If you plan to enter the EQ or EQII tournaments, make sure you keep an eye on the EQ Players and EQII Players websites for more information and instructions on prepping for those events, if needed. Details will be coming as we draw closer to the event. The Community Team is hooked on the Free Realms Trading Card Game! We're bringing some booster packs with us, so bring your decks and any cards you want to trade, and maybe you'll go home with some new stuff! We'll also be having late-night gaming sessions. Although you won't really need to bring anything for these, do remember to have your Station ID and password handy if you want to log in to play on our computers. If you'll be traveling by air, be sure to familiarize yourself with the latest TSA regulations. As of May 15th, they're really cracking down on ticketed names exactly matching your identification, in order to reduce security delays. Also, if you plan on bringing any foods, liquid/gel personal items (shampoos, toothpaste, and even medications) you'll want to know the rules for carry-ons and checked bags. Speaking of checked bags, your airline might charge an additional fee to check baggage so it's a good idea to look into that ahead of time (you might even be able to pre-pay). And don't forget things like wearing shoes that are easy to remove in the security line, keeping your ID handy to show while you're checking in and going through security, and making sure all your gadgets are charged up so you don't get stuck looking for something to do at the gate. Over at Zam, Calthine has prepared a very helpful list of some things to remember when you prepare for Fan Faire. She has some great tips, and probably some you wouldn't have even thought of, so be sure to give it a quick read before you pack. (Thanks, Calthine!) Our EQII community shared even more advice...like where the closest drugstore is! If you have any additional tips you'd like to share, hop on over to the Fan Faire forum and leave your advice in the Fan Faire Tips thread. We'll see you in Vegas, baby! 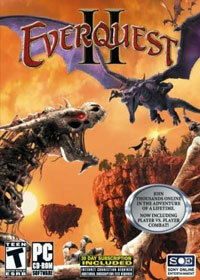 We Have a New Senior Producer for EverQuest II! You know, the most awkward part of writing one of these is the introduction; it almost always comes across as cliché. 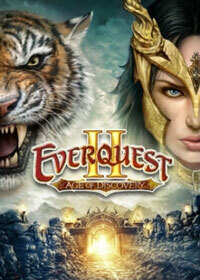 I am extremely pleased to join the creative and passionate EQII team as the Senior Producer. Bruce has always been wonderful to work with and leaves me some rather large shoes to fill (speaking of clichés; they are actually about the same size as my own). Bruce has been a strong shepherd for the team and the game and we all wish him well as he moves into his new role here at SOE. I know he will do well, as he carries the dedication he shows in all things with him. As far as Community Relations, I am leaving the team in very capable hands. Richard “Greeblen” Schmelter will be giving that team the love they need now, and I know he will shine. Why the change for me? Well, first you should understand that it is not as different a career as you might think. A producer is a manager, just like a director. So, many of the skills are the same. Just different processes, more people, more assets. More, more, more. And of course, now I have these large looming deadlines. What was I thinking? I love games, especially MMO’s. EQ was my first love and brought me to SOE, but it was EQII that held me longer than any other. I love the game and when the opportunity arose to work with this team, I could not pass it up. This team is amazing! I have spent the last two days in meetings as they talk about their work and their passion for this product; I am excited, as I could not be blessed with a better group to help me make this transition into Production. Coders, Designers and Artists are all working very hard to make sure EQII stays the quality game it is today. Over the next few weeks you will see some of their plans come to fruition as we publish Monument and Might (GU 52) to Test and then Live servers sometime in June (possibly before Fan Faire). But that ain’t all we have in store for you. As we sat together and went over the plans for GU 53 and beyond, the player in me was piqued. I wanted this new stuff NOW. I wanted to play with the new zones, items, and dungeons. I smiled and laughed as I saw new creatures and their animations (complete with sound effects provided by Tom Tobey, one of our Senior Artists), and I know that you will love them too. We also have some not so much fun stuff to get to, maintenance to the game to allow us to continue to develop content, expansions, and items for years to come. Some of those pills will be tough to swallow (cliché). The team and I will work hard to make certain you understand why we’re making these changes, why they are necessary. We will discuss them with you and listen to your feedback. While that doesn’t mean we can always go the way some players feel is correct, it does mean we want you to know the WHY of our decisions. I used the word “shepherd” for Bruce and it is fitting, as that is what a producer does. They make sure the game is headed in the right direction, away from cliffs and pitfalls so that it stays around, competitive, and most importantly fun, for a good long time. I will be available on the forums occasionally, on Twitter often (handle is Brenlo) and in game when I can log in to chat with you. I look forward to hearing from you. I look forward to playing with you. I look forward to being a shepherd for this game and development team. Leading them, shaping their plans and guiding their passion. A passion you, I and the team share. There’s never been a better time to invite your friends in for some online adventuring in EverQuest® II! The EQII Recruit-A-Friend program is an exciting opportunity that rewards current EQII players with free gameplay time and exclusive in-game items just for bringing friends into the online world of Norrath! - One Month Free Game Play: Players can redeem one month of free EQII gameplay, when their friend converts to a paying subscription. That means if you bring 25 friends into EQII as subscribers, you can get up to 25 months free gameplay. So start sending out your invites! - Extra Bonuses for Joining Friends In-Game: Group with your invited friend(s) and receive a 3x XP bonus increase during that adventuring experience. And, by mentoring an invited friend, your friend receives an additional 10% bonus to their adventuring experience. - Exclusive In-Game Mounts: Choose from one of two mounts the Saryrn Deathcharger or Armored Pinto, to use in-game per each new account invitee who converts to a paying subscription. If you use these mounts in-game while mentoring your invited friend you will also receive additional bonus 10% XP bonus. - Free Legends of NorrathTM Booster Packs: Receive two Legends of Norrath Oathbreaker booster packs for the first new account invitee who converts to a paying subscriber within 30 days of the conclusion of that friend's trial period. Head over to http://www.everquest2.com/recruit-a-friend.vm and start sending invites to your friends! Any EQII player, who has ever held a paid EQII subscription that is currently in good standing, whether active or inactive, can take advantage of this amazing opportunity. 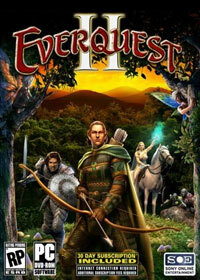 For more details, log on to www.everquest2.com. 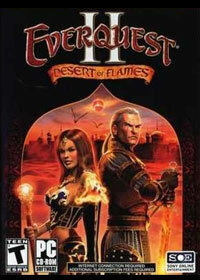 EverQuest II is rated T (for Teen) by the ESRB with content descriptors for suggestive themes, use of alcohol and violence. The Recruit –A – Friend Program is live. The EverQuest II Recruit-A-Friend program is a unique promotion that rewards you with free gameplay time (to be added to the end of your then-current subscription) and exclusive in-game items for each new player you bring into the game who becomes an active subscriber of EQII. If you have ever held a paid EQII subscription that is currently in good standing, whether active or inactive, you can take advantage of this amazing opportunity to have fun playing with your friends and earn exciting rewards for it. Don’t wait. Get started today! What is EQII Recruit-a-Friend ? The EverQuest II Recruit-A-Friend Program is a unique promotion which rewards you with free gameplay time (to be added to the end of your then-current subscription) and exclusive in-game items for each new player you bring into the game who becomes an active subscriber of EQII. If you have ever held a paid EQII subscription that is currently in good standing, whether active or inactive, you can take advantage of this amazing opportunity to have fun playing with your friends and earn exciting rewards for it.Where do I go for more info? 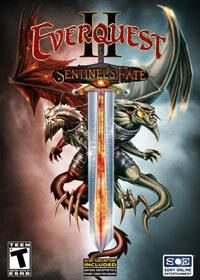 All the details regarding the program are available at http://everquest2.station.sony.com/recruit-a-friend.vm. Monthly email updates will be sent to the newsletter members providing new information and details on upcoming events. All the terms and conditions of the programs are located on the site as well. Who qualifies to Recruit players? 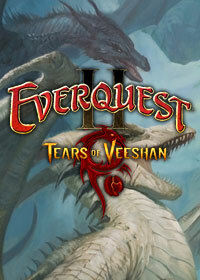 All active and closed EQII accounts in good standing qualify to send invites. How do I recruit my Friends? Login to your Station Account, then go to http://everquest2.station.sony.com/recruit-a-friend.vm and simply enter your name, the email address of your friend along with any additional information that you'll like to add to personalize your invite. Follow the instructions and an email will be sent to your Friend inviting them to enter the RoK trial. How many Friends can I Recruit? Recruiters can have as many as 20 invites out at any one time. Recruiters can receive awards for up to 25 successful subscription conversions by their friends. How does my Friend accept my invitation? Upon receipt of your invitation, your Friend MUST USE the link from the invite to the Recruit-a-Friend webpage, where they will be able to download the RoK 14-Day trial and get started playing. What do I get when my Friend converts to a paying subscriber? What does my Friend get if they convert to a paying subscriber? Does my Friend have to buy the game when they convert? No, they do not have to buy any additional software. If they convert to a monthly sub they can continue playing RoK and keep the all-in-one pack. When and how will I know if my Friend converts? Your account interface will show you the status of your invited Friend. Once your Friend converts in the qualifying time period, it can take up to one full bill cycle to confirm payment and be added to your account. What if my Friend declines my invitation? Your account interface will show you the status of your invited Friend. Once a Friend declines your invitation, you can send a new invite out to another friend. The maximum allowed invites at any one time is 20. When will I be credited with my free time? The free time will be added on to the end of you then-current subscription plan. Once your recurring plan ends you can start to enjoy all the free gameplay time you earned. If inactive, upon processing, your account will become activated. When Will I get my Mount, Station Cash and LoN Booster Packs? You will receive your Mount immediately upon the successful conversion of your Friend to a paying subscriber. This could take up to one full billing cycle. You will only be granted the LoN and Station Cash rewards for the first converted Friend you have. For any additional conversions you will receive 1-month of gameplay each on the back end of your subscription and your choice of one of the two mounts. How do I get my bonus 3X XP? While in game, you simply need to be grouped with your friend in order to earn 3x XP bonus. This lasts for 90 days after Prospect's first login. How does my Friend get their bonus XP? As long as Prospect is being Mentored by Recruiter, he or she will receive an additional 10% XP boost. This lasts for 90 days after Prospect's first login. How can I get to where my Friends are playing? As a Recruiter or an invited Friend, you will have the ability to zone to your Friend at any time. This lasts for 90 days after Prospect becomes a Subscriber. Tell me more about the Mounts. Mentored with a 10% XP bonus. * The person doing the Mentoring must be a higher adventure level than the Prospect and be riding this horse. * These can stack, if you have two people who are riding a mount Mentoring one person that person will get twice the bonus. * Once these mounts enter the game, they are no longer tied to any account status that is connected to RAF; they work with any player. 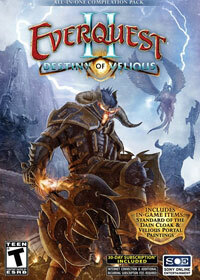 EverQuest IIs Erollisi Day Celebration Kicks Off Today! EverQuest® II’s annual Erollisi Day runs from Feb. 10 through Feb. 17, 2009, giving players across Norrath the chance to acquire “love loot” – such as love notes or candies – which can then be used in holiday tradeskill recipes or exchanged for Erollisi coins. New quests for this year’s event will give players a chance to earn the trust of the Sisters of Erollisi and learn more about the mystery of Erollisi's absence. A brand new Erollisi Day video can be downloaded from www.soepress.com. Tis the season of giving and Sony Online Entertainment is celebrating by adding some extra cheer to the online games EverQuest® and EverQuest® II with exceptional updates. Both updates feature changes that are a direct result of player feedback, and EverQuest players will even see two new quests created by players who attended the 2008 Fan Faire! - Player Created Quests: Several EverQuest players participated in a Quest Workshop where members of the development team walked them through the quest creation process, now two of those quests are featured in game! - Gyrospire Relocator: Researcher Stripcog has unearthed a device that will allow a being to teleport to the top of each of the gyrospires. Unfortunately, he needs the assistances of others to help get the device working again. - Kicking Tail: Scribe Choone’s party, attempting to help Choone research a story for Gimblefixx, was ambushed and nearly wiped out. Choone is asking players to thin out the Minotaur warriors enough for his mission to continue. - Improved linkdead recovery: Decreased the amount of time linkdead players will have to wait to log back in because of a stuck character. - Flag Remove for The Serpent Spine: Players can now access content that was previously locked behind a long quest series. - Quest Journal: The mechanics and sorting options of the collection tab are being improved, making it easier to sort and find collections. - Harvesting Depots: The guild halls harvesting depots have been increased by 50%, leading to more storage space. - Raised Spell Drop Rates: Players level 50-60 in Desert of Flames will notice an increase in master spell drops. - Home Addresses: No need to worry about finding your way home anymore. Your Persona window will now display your full house address and zone name. This will require visiting your home once before it will display your full address. - Increased number of icons displayed in the Spell Effects and Detriments window by 50%. 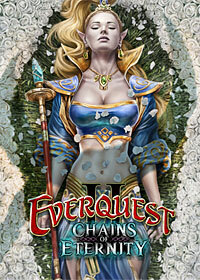 The EverQuest update is scheduled to launch on Tuesday, December 23rd. Happy Holidays From the Dev Team! Because of all the great feedback that we’ve received from you, our community, the team has fixed some of the issues that you were most vocal about. The collections section of your quest journal can now be sorted based on the following: - Ready to turn in status - Name - Level - Category - Progress Additionally your collection quest journal will no longer reset to the top of the page when you add a new item! It will now stay on the collection to which you are adding. Roomier Harvesting Depots - The harvesting depot capacity has been increased from 100 to 150! Your guild's crafters will now have more space! - The drop rate for Master level spells in DoF has been slightly increased to be more in line with the drop rates in the rest of the game. - The house window will now display the address of the home below the name, making your home easier to find. - Your full house address and location will be shown on the Details tab of the Persona window, for those rough times when you can't quite remember your address. - Players who currently own a house will need to enter then exit their house before the data will appear. - The max player / detrimental spell effect icons displayed have been increased from 30 to 45. - The twin dragons in the Pedestal of Sky now drop 3 pieces of fabled armor. - Godking Anuk now drops 3 pieces of fabled armor. Read the full update notes and join in the current discussion on the Official EQII Forums! 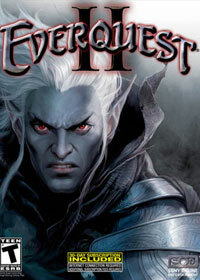 SAN DIEGO, CA – Nov. 17, 2008 – Video game players around the world are powering up their PCs as the new EverQuest® II expansion, The Shadow Odyssey™, is scheduled to launch worldwide tomorrow. 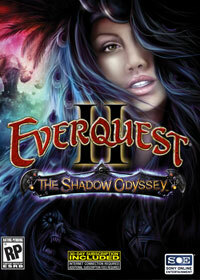 The Shadow Odyssey is the fifth expansion for the critically acclaimed EQII franchise developed by Sony Online Entertainment LLC. This all-in-one compilation pack will be available at select retail stores and via digital download at www.station.com for the suggested retail price of $39.99 US. In an age long passed, a band of extraordinary heroes embarked on a journey to free Norrath from the clutches of a shrouded threat. Their quest would take them to the far reaches of the globe, delving deep into the most dangerous dungeons and undertaking many daunting trials. This was the Shadow Odyssey, and the heroes were known as the Ethernauts. In their time, this epic quest came to an end, and Norrath was saved. But now, history is repeating itself. It is time for a new generation of Ethernauts to retrace the steps of their honored predecessors through the ruined, unforgiving and twisting regions of Norrath to rid the world of the invading scourge and destroy the renewed evil of the Shadowmen. Feature Set: - More than 20 new zones, including the new overland zone, Innothule. - Experience nostalgic EverQuest dungeon themes, such as Najena, Mistmoore and The Sebilisian Empire, and adventure through more than 18 goal-based dungeons, such as Ruins of Guk and Befallen. - The Achievement Point level cap will be increased to 200 to offer new achievements for class-specific lines. - A new Dungeon Delving mission system for players to replay content with new and different experiences. - Five (5) new Heritage Quests with unique rewards being added. - A new, mysterious group of erudites with powerful new armor and equipment will barter for void shards earned during your encounters. 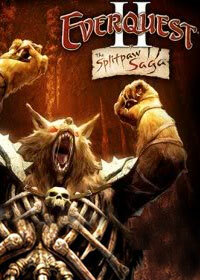 - Epic tales of the odyssey are told through battles with dozens of new creatures and hundreds of new quests. 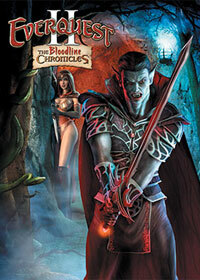 - Two new deities have been introduced into Norrath, Rodcet Nife and Anashti Sul. - Includes Desert of FlamesTM, Kingdom of SkyTM, Echoes of FaydwerTM and Rise of KunarkTM expansion packs, and The Bloodline ChroniclesTM, The Splitpaw SagaTM and The Fallen DynastyTM adventure packs. - Also includes Legends of NorrathTM strategic online trading card game, digital starter deck and booster pack. For more expansion information from EverQuest II The Shadow Odyssey and a free trial of EverQuest II, visit www.everquest2.com. Here's a quick rundown on what to expect on launch day. 11:59 PM PST on Monday, November 17, 2008: The pre-order process will be turned off. You have until this time to place a pre-order in the station store for the digital download and still qualify for the in-game items. 12:01 AM PST on Tuesday, November 18, 2008: The magic starts happening. The servers for all regions will come down and the new data will be pushed out to the live servers. 6:00 AM PST: The Community Relations team gets into the office and checks in with the dev team and starts posting updates on the forums! 12:00 PM (noon) PST - This is the estimated magic hour when we anticipate having the servers up and running for all of you to experience The Shadow Odyssey! From there on out it's all about enjoying the expansion! 1. Live Chat - http://www.station.com/kb (Live Help tab). If you cannot find the answer through the knowledge base, click on the "Live Help" tab to chat live with a Support Representative. The Live Chat is open Monday to Friday, from 10:00am - 7:00pm PST. 2. Email Support - http://www.station.com/kb (Email Support tab). If you cannot find the answer through the knowledge base, click on the "Email Support" tab to email a Support Representative. 3. Phone support - Available Monday through Friday from 10:00am - 7:00pm PST, except holidays, at 1-858-537-0898. If you have forgotten your password required to use our email or chat support, and cannot complete the "Forgotten your password" form, please feel free to contact us via our phone support, and we will assist you from there. How to get in touch with CS!! The EverQuest®II Living Legacy “Fight with Legends” promotional program rewards current EverQuest II (EQII) players with free gameplay for each new player they invite into the game between now and the end of August who converts to an active subscription for the game. For the first time ever, existing EQII players can take advantage of this opportunity to invite friends to join them in-game and play together regardless of experience level and, in return, earn up to 20 months of free EQII game time. In-Game Events: The Living Legacy in-game events continue with legendary activities that all players can participate in, including exciting new game updates and uncovering Void content themed around the upcoming expansion. Mentoring System: Current players will be able to play with friends of any level and utilize the Mentoring System to receive an added bonus experience boost when teaching less experienced "legends" the ways of Norrath. Guides Program: Skilled players can join the Guides program to help others experience all of the excitement that EQII has to offer. The Guides will be recognized for their service in EQII later this month in a video which showcases each one of them, as well as a feature story on www.eq2players.com and a presentation at the annual SOE Fan Faire in August. Current Player Recruitment Rewards: Active paying EQII subscribers receive one month of free EQII gameplay time (to be added at the end of their then-current subscription) per new account invitee (up to a limit of 20 friends) who converts to a paying EQII subscription within 30 days of the conclusion of that friend's trial period. New Recruits: All participants can access the EverQuest®II Rise of Kunark™ all-in-one digital game client and various bonus in-game items during the promotional period and keep a complimentary digital copy upon conversion to a monthly subscription plan. Upon completion of free play period, when the new player converts to paying monthly subscription they will receive a US$5.00 discount (or local currency equivalent) off of the next expansion(scheduled for release in Fall 2008) if purchased through SOE’s Station Store by December 21, 2008. The “Fight with Legends” program begins Thursday, July 3rd and runs until Sunday, August 31st.